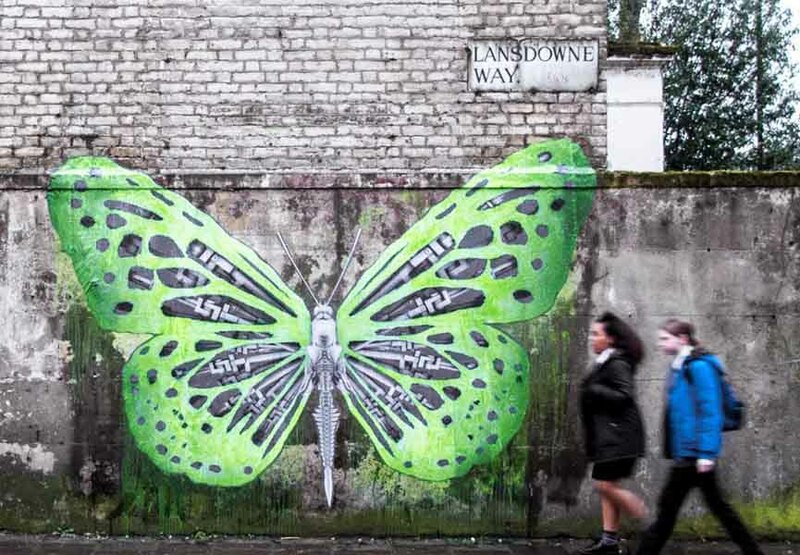 Every Widewalls reader knows that Wednesday is a day for another edition of Street Update. In the previous week some of our favorite artists travelled the world, painting walls from Brazil and United Kingdom to Australia and India. They participated in several street art festivals, showing off their best skills, leaving the locals to enjoy them. 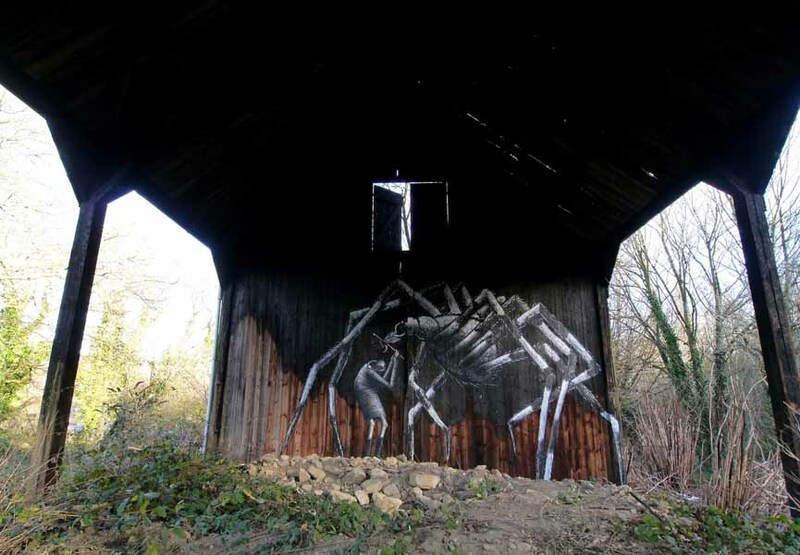 Others were in their hometowns, like the Brazilian street art superstar duo Os Gemeos who left another of their signature characters somewhere in the streets of Sao Paolo, or the UK wonder Phlegm who did the same thing in Sheffield. 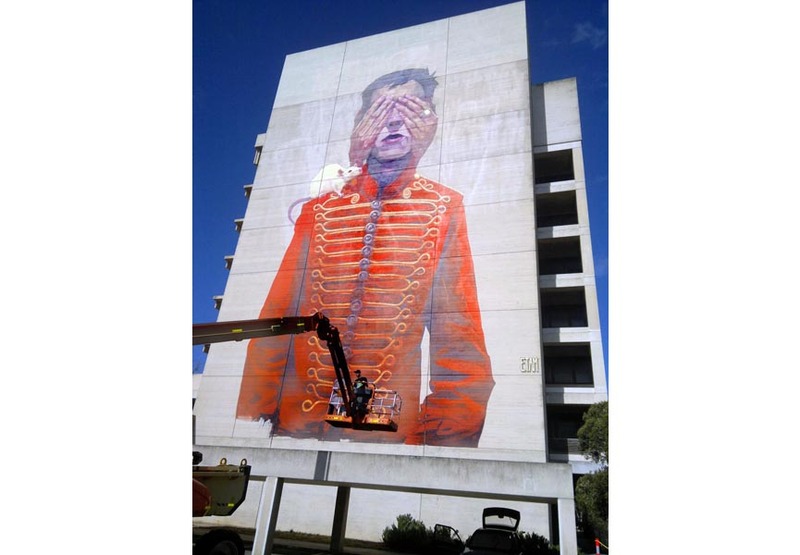 Our Artists of the Year, Polish street art duo Etam Cru, stopped by Australia where they participated at the first edition of the Wonderwalls street art festival and Ludo, a German street art sensation and public’s favorite, travelled to London where he did even two murals to the joy of South London citizens. Last week, we introduced our readers to an exclusive report from the German street artist LOOK, from the Weird crew, who is currently in Chennai, India, as one of the participators of their street art festival. LOOK the Weird will, in the next days, share with Widewalls readers his Chennai diary and, if you’ve missed it, be sure to check it out! Visit our gallery and choose your personal favorite. Enjoy! 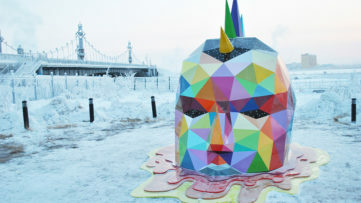 Fan of street art? Sign up for My Widewalls! 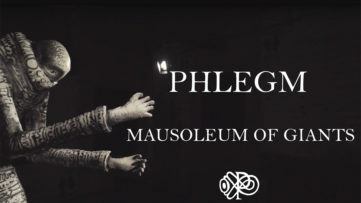 for more exclusive information! 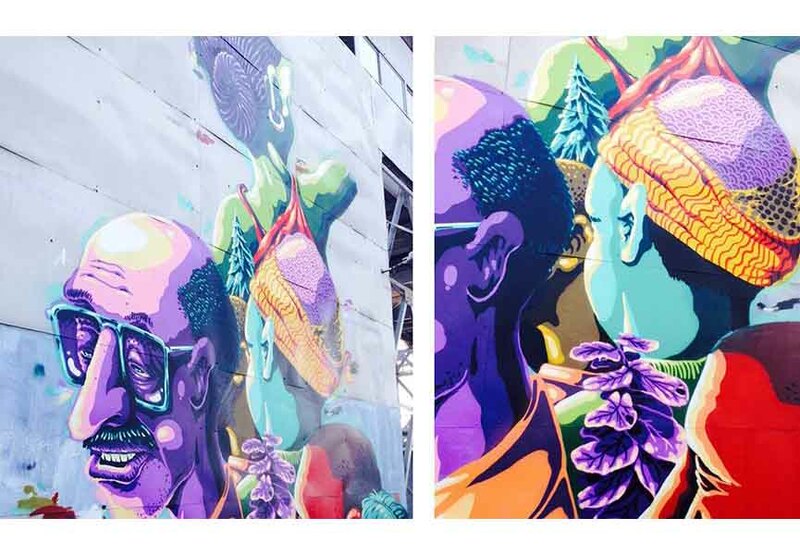 Two weeks ago we wrote about the latest mural by one of the biggest Brazilian street art stars. 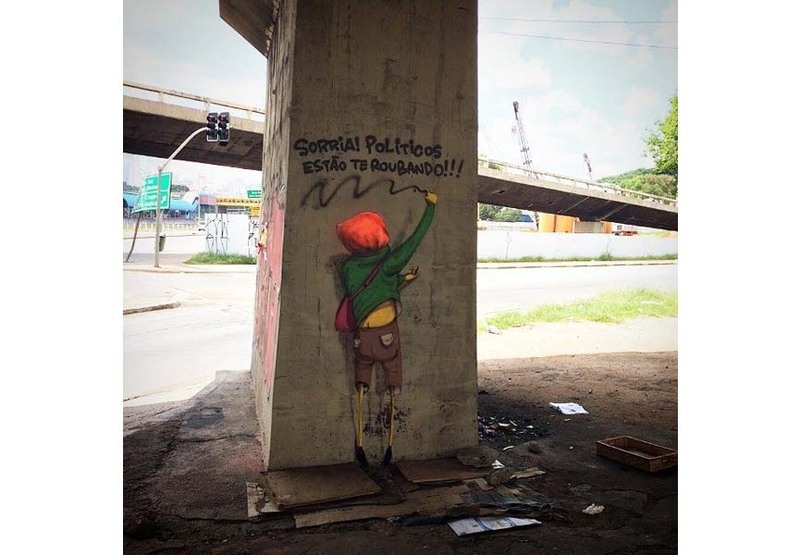 The street art duo, Os Gemeos (Portuguese for The Twins), consisting of twin brothers Otavio and Gustavo, worked in their hometown of Sao Paolo painting one of their signature yellow characters. Now, these exquisite artists finished another fantastic piece featuring a boy painted from behind, writing a graffiti that says Sorria! Politicos estao te roubando! (Smile! Politicians are robbing you!). Once again, their proved that art is more than just a beautiful drawing, but a political statement as well. If you want to know more about the beginnings of graffiti in Brazil, read our article When Graffiti Matters the Most – Brazil. 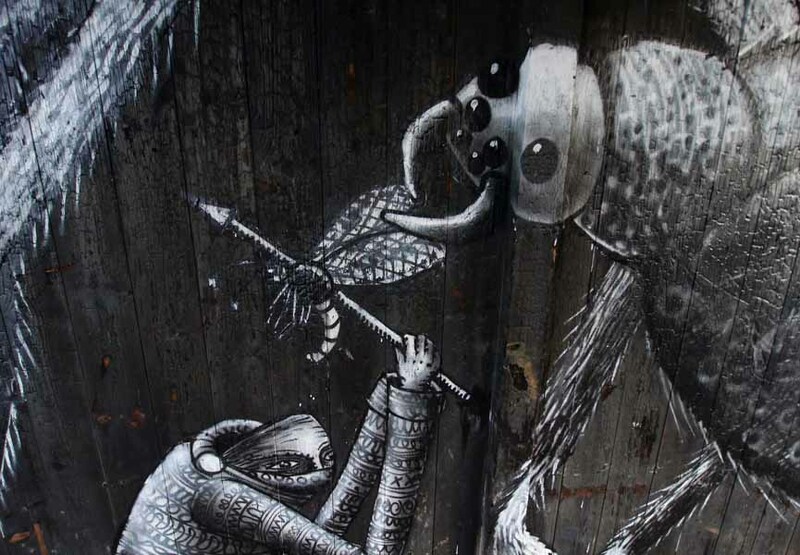 UK’s street art wonder, Phlegm, topped our Most popular murals of 2014’s list thanks to his amazing artwork he did for ArtScape Festival in Malmö, and now he is back in his hometown of Sheffield where he just finished a brand new mural. 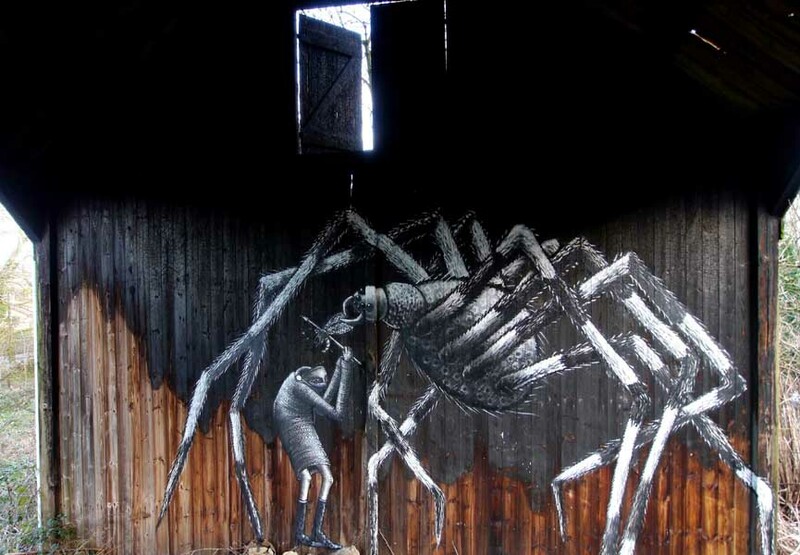 The latest piece by the fantastically talented artist was done on a huge burnt out barn somewhere along the Station road in Mosborough, Sheffield. 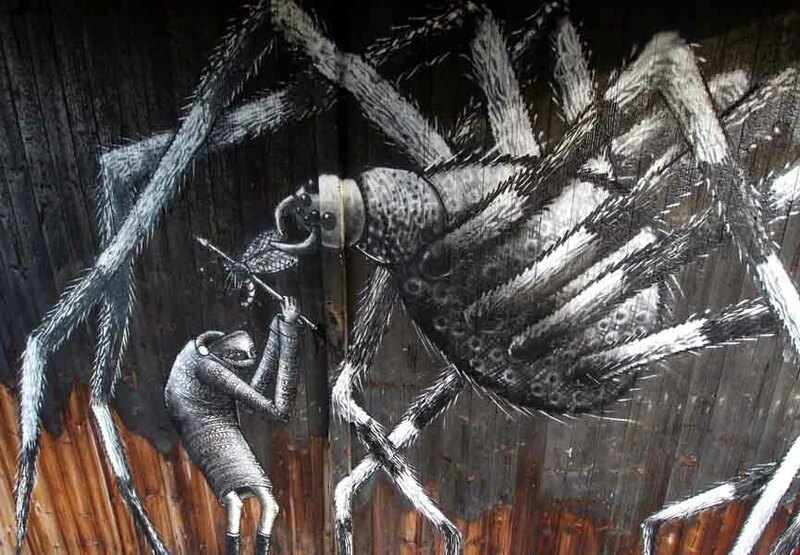 The highly detailed piece, as we’re already used to the precise work, features a large spider being fed by one of Phlegm’s signature characters. 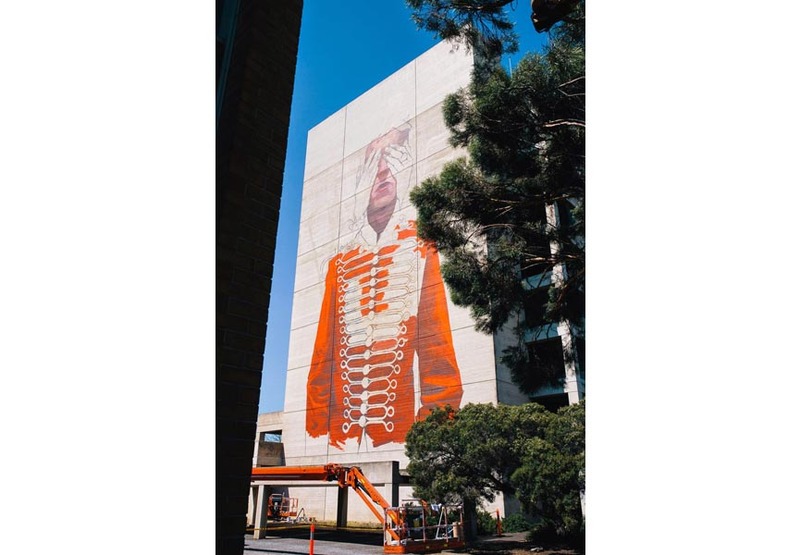 We’re always looking forward to seeing what’s next for one of our favorite street artists! 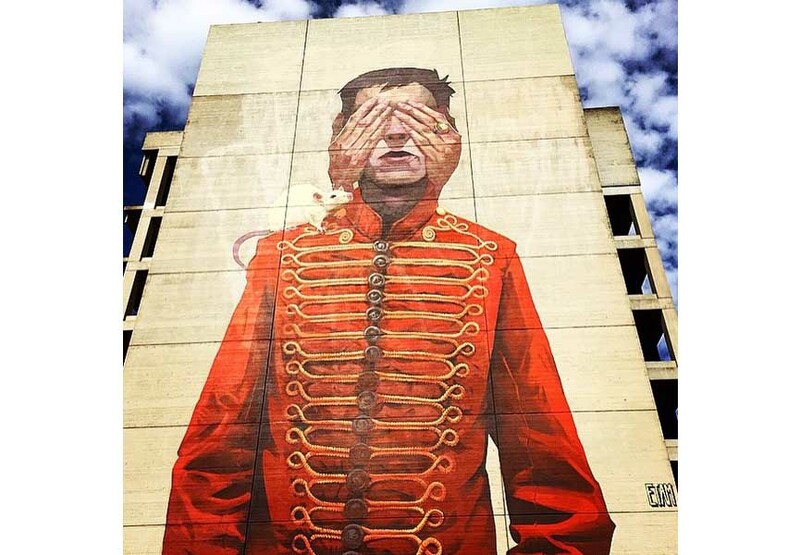 Widewalls’ Artist of the Year, Polish street art duo Etam Cru, are currently in Australia where they were invited to paint a massive building somewhere on the streets of Port Adelaide, where the first edition of the WonderWalls street art festival has just started. 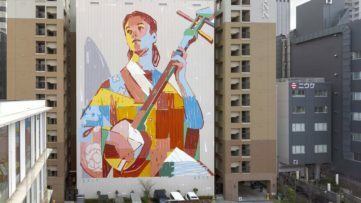 Etam Cru, consisted of artists Sainer and Bezt, quickly worked their way through this fantastic large scale mural. 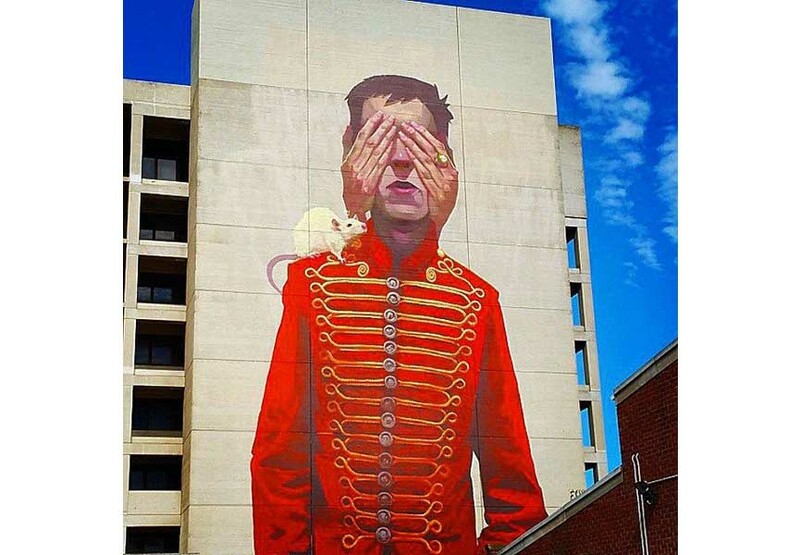 For the first ever WonderWalls festival, artists created a large figurative piece featuring a young guy in a vintage royal uniform with his eyes closed. 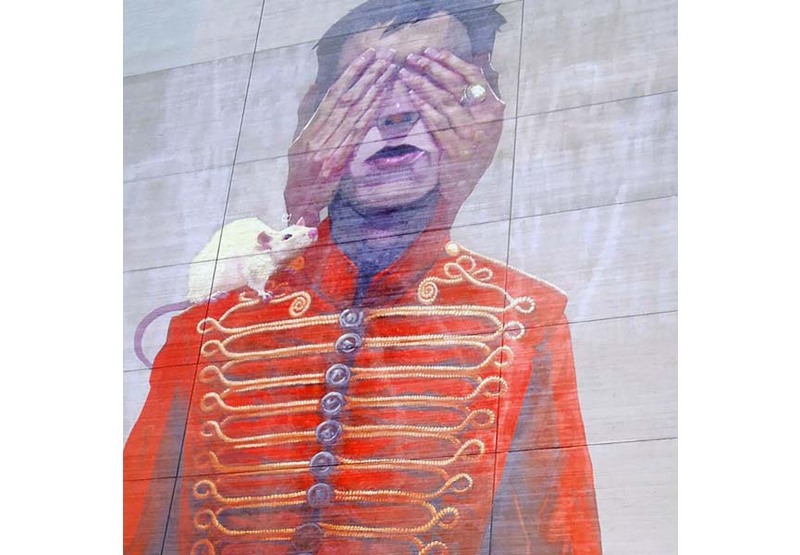 There are some reappearing visual elements in this piece, noticeable in a number of Etam Cru works, such as white rat on the subject’s shoulder or a skull logo on a ring. Being very familiar with working in large scale, this piece shows their ability to create almost photo realistic works, while still staying recognizable through their fine touches. 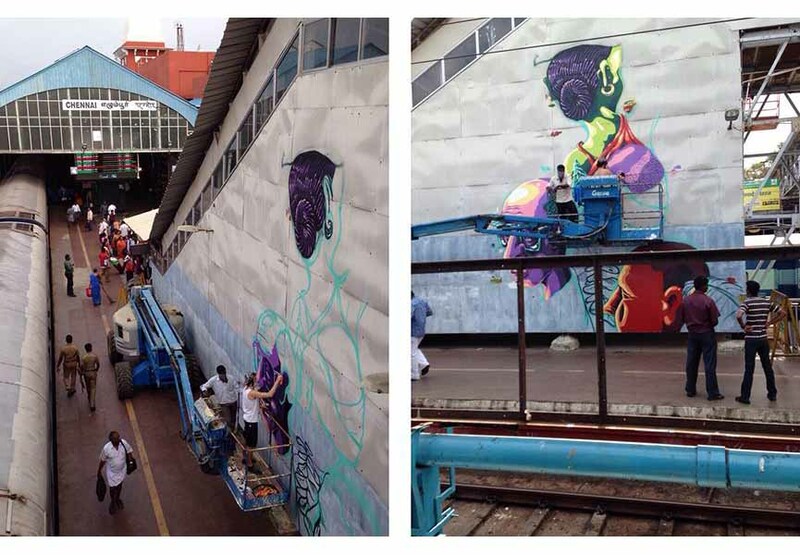 LOOK the Weird, member of Germany’s influential graffiti crew Weird, is currently in Chennai, India. 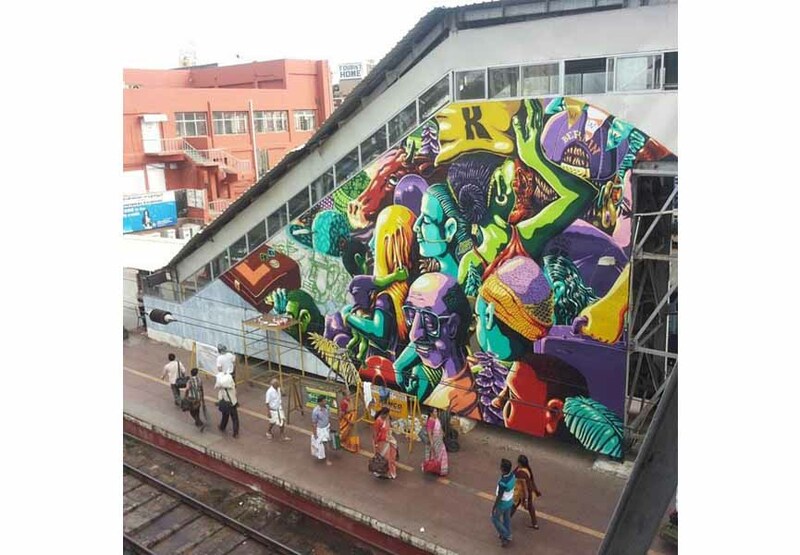 The famous street artist agreed to share with Widewalls exclusively his diary from Chennai (you can read the part one here) and introduce to our readers the experience, process and atmosphere from the fantastic street art festival entitled Conquer the Concrete. Not only he’s informing us about the works of participating artists like Axel Void, Base23, J.P. Krishna, Okuda, The Paintbox, Ranjit Dahiya and SatOne, but he’s painting as well. He just finished a stunning new large scale mural done in his signature style, using variety of colors and playing with shape, light and details. To read more articles from the currently going Conquer the Concrete festival, check out our website! 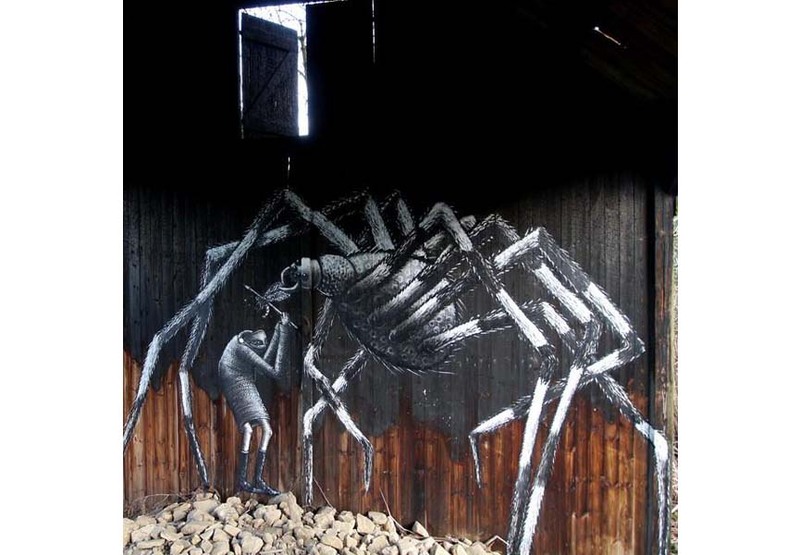 Since the last time we heard from him, the Paris born street artist Ludo was in Amsterdam. 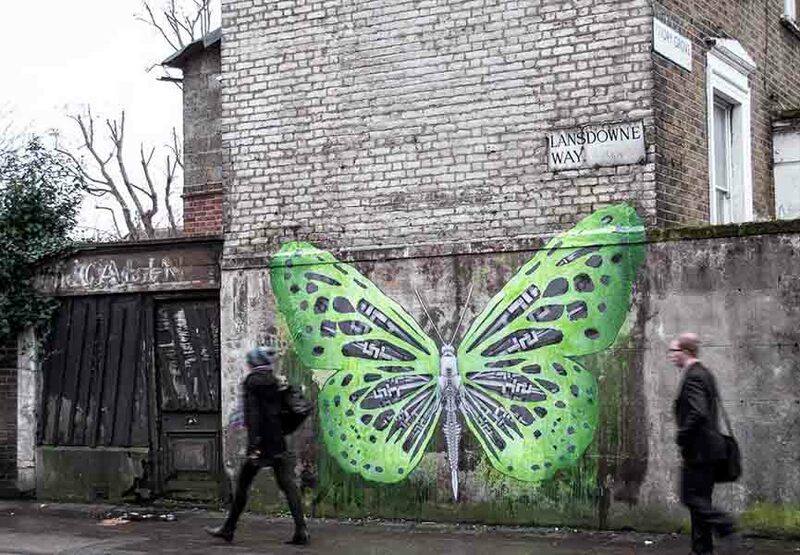 Currently, he’s in Lansdowne Way, London where he began working on even two brand new pieces. 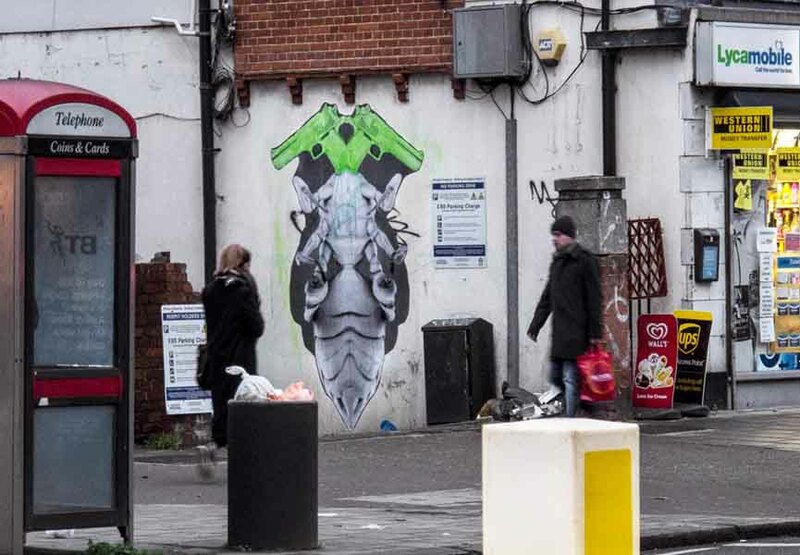 Cruising through the grey streets of South London, the French street art star quickly found two free spaces for his latest pasters. 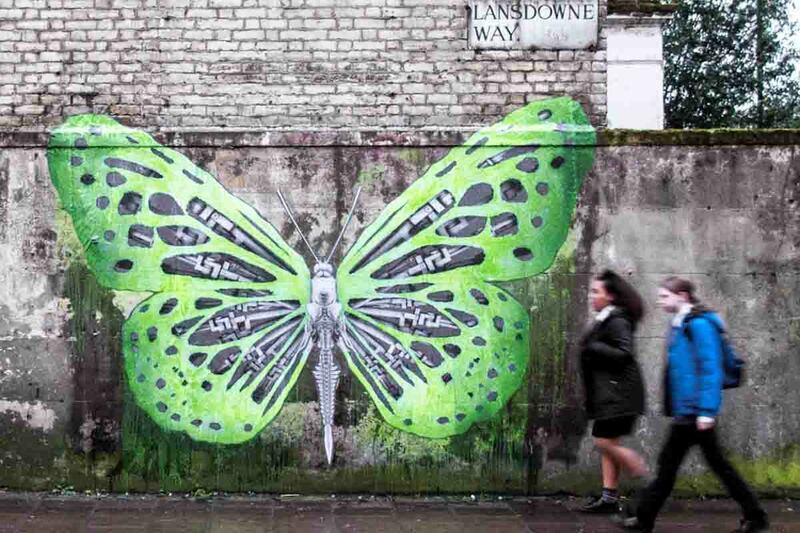 Using his signature green sprays, Ludo painted the first piece featuring a large green butterfly, while the other one depicted a giant bug with two guns on the top. As usual with Ludo, the French artist once again pulled off his signature style.